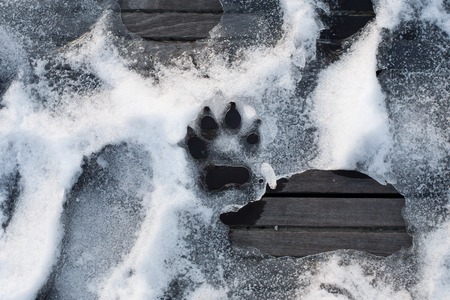 Don’t let the slick slippery step assailant coating our walkways and driveways harm you or your pets’ paws with harsh chemicals. There is a way to rid of the treacherous ice without causing harm to your pets, your walkway or your wallet. Most of us know that the road salt and other chemicals used to melt ice and snow are caustic to our pet’s paws and toxic if ingested when they groom themselves or lick their feet. I rush out every year to stock up on paw safe ice melt but it seems to go up every year in price too. I have heard about a cheaper alternative so I decided to give it a try. That’s all you need and boy is it cheaper than the pet safe de-icer. I was spending a good amount even on the 40lb pail but it just goes so quickly, especially with my long brick pathway. So I followed the instructions, used a watering can with a rosette nozzle (like a spring rain) and the ice literally washed away. It did take a few refills, my path is large and the mixture pooled for a bit on thickly covered areas, which eventually did turn to puddles. I did also use some coarse kosher salt on the persistently thick areas to help make the ice have some traction and break it down a little faster. Just about 1/4 of a cup and only on the thick areas, the salt alone can dry out paws and while it’s safe for them to lick, it still can be very drying on their feet. A couple of benefits I have noted since doing this is not only was it a fix for the ice that had already formed – it prevented more coming back. I noticed that the areas I treated where much easier to shovel off freshly fallen snow because it had started to melt a bit. Also, no more sweeping up or wiping up the greenish blue pellets that tracked into the house with all our feet. All in all, I will be using this as an alternative. It’s safe for my pets’ paws and I’ll keep you posted on what my nearby plants think in the spring. My chickens certainly do not seem to mind walking around on the treated path. It was slightly more laborious than buying the pet safe ice melt, especially if you get it delivered but my wallet is happy with my choice. For our longer walks or those on the roads, I do go ahead with booties. They take some getting used to for your dog but I no longer have cracked bleeding paws and the wet paw prints running through my house are reduced as well. For the pads that are already starting to crack, try some bag balm, it’s worked wonders for my guys and is safe if licked. For your final safety measure, be sure you know how to recognize when things might be off. Winter can be a tricky time for our pets. Limps could be cracked pads, the onslaught of Lyme disease or the beginnings of arthritis. 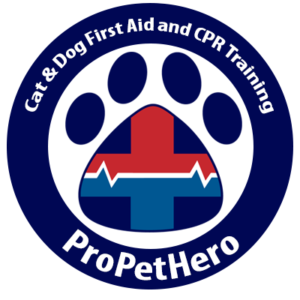 Having taken pet first aid and CPR training you will know more readily how to recognize when something isn’t right with your pet and will be able to act in a more timely fashion for them – reducing their pain and discomfort. Thank you for sharing your DIY ice melting solution! We’ve been lucky in NC here so far and have only had one winter storm in early January – that one did result in icy roads and sidewalks. I’ll be sure to pin this! P.S. How cool that you have chickens, too! I would expect some freezing of the solution after it is poured on existing ice , as a skeptic I will try this solution on my backyard driveway………I sure would love to find it is a workable way to melt the ice and protect our pets. Certainly depends on the temperature and I will admit that this happened on a set of stairs I have that are wood composite, I just added more alcohol and it held just fine. Does it work on wood too. Have a ramp for my dog. What strength of alcohol do you use? Fantastic, thank you! That’s what I have and will be using. I’d like to use this on our deck which leads to our back yard. However my dogs love to lick anything that resembles water off the deck. Would this mixture harm them ? Rubbing alcohol is toxic – I don’t see how this is “safe”. Is it just that the amount of alcohol is so small? Great question and you are correct, rubbing alcohol is toxic but it is a) diluted in this mixture and b) evaporated from liquid form very shortly after melting the ice (where it is further diluted). I can assure you it is much safer than chemical ice melts that burn paws, cause licking and ingestion of very harmful chemicals. Is it still effective after the solution cools off? So if I make a gallon and save some to use tomorrow? It is but less so, the warm water speeds the melt up and the lower freezing point of the alcohol mixed with the soap helps keep it from refreezing.